"Joker" is set to premiere on Oct. 4. 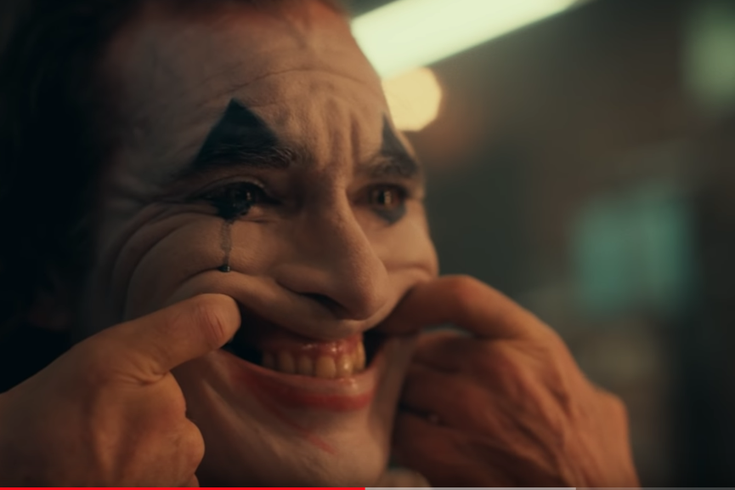 Warner Bros has released the trailer for "Joker," the stand-alone origin story that stars Joaquin Phoenix as Batman's infamous nemesis in his early days. Before he was playing mind games with Batman, the Joker was known as Arthur Fleck. Dejected by society, the trailer shows Fleck as he slowly starts to loose touch with reality. The trailer starts off with Fleck noting to a therapist, “My mother always tells me to smile and put on a happy face.” But it quickly takes a dark turn. A happy Fleck is seen dressed as a clown for his job as a sign spinner before a group of boys chase him and assault him. He notes over the shot, “She told me I had a purpose to bring laughter and joy to the world." The film was directed by Todd Phillips ("Old School," "The Hangover"). It will co-star Zazie Beetz, Robert De Niro, Marc Maron, and Shea Wigham. This will be De Niro’s first comic book movie. "Joker" will be released in theaters on Oct. 4.